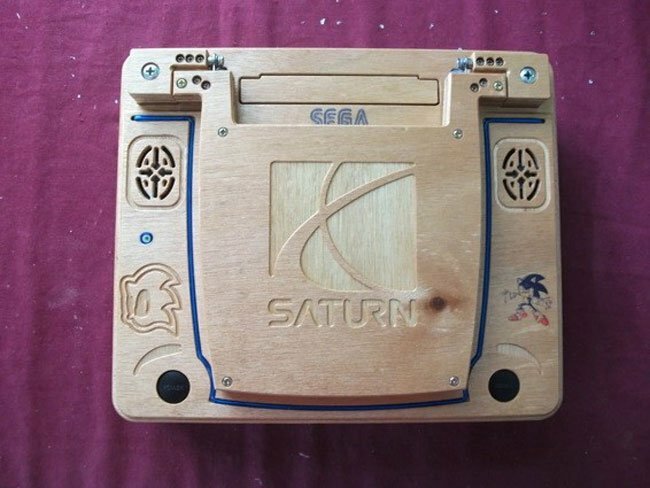 If you are a fan of all things Sega you will definitely appreciate this wooden Sega Saturn console created by Turkish modder c_mon. 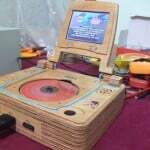 The wooden laptop styled Sega Saturn is equipped with a 5 inch LCD screen borrowed from a PSOne and installed under the flip top lid. 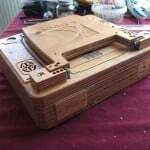 The Sega Saturn electronics are housed in a custom CNC-cut wooden case which mimics the same lines of the original Sega Saturn console, and a blue electroluminescent wire as been added around the cd drive. 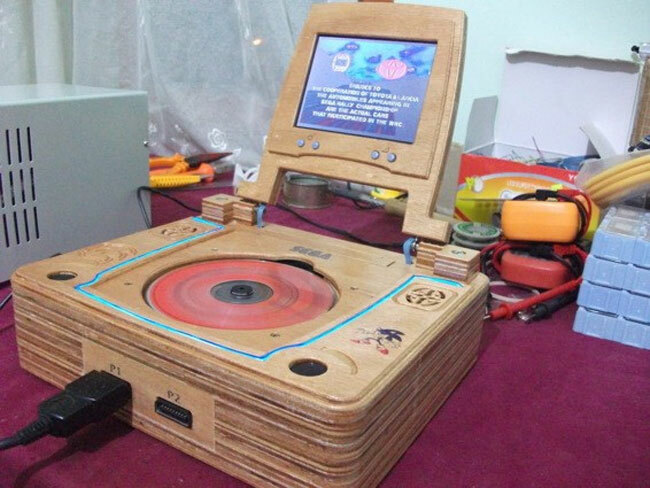 The Wooden Sega Saturn is powered by a 9-volt, 4 amp DC adapter and c-mon has added extra fans within his system to help keep it cool, together with a set of stereo speakers. 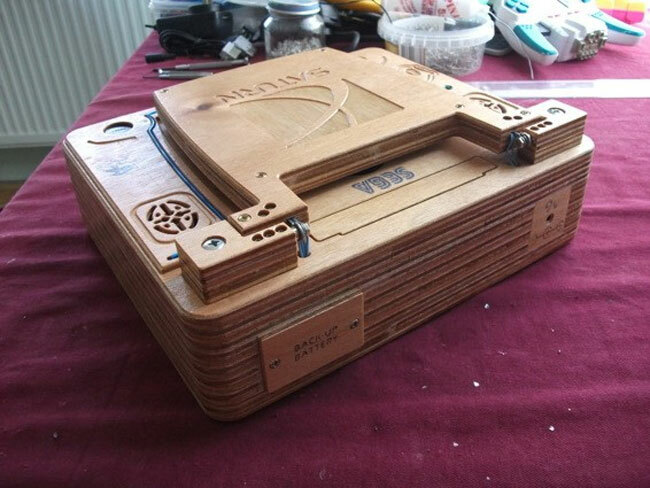 For more information of this great mod jump over to the Ben Heck forums. The Sega Saturn console was first released in 1995 in North America and Europe but struggled to gain sales with competition from Sony’s PlayStation and the Nintendo 64.